On Wednesday, the Vermont Secretary of State released the results of the official canvass of votes. Governor Peter Shumlin received 46.4 percent to Scott Milne’s 45.1 percent in the race for governor. Five other candidates and write-ins received an aggregate 8.6 percent. Under the Vermont constitution, if candidates for governor, lieutenant governor or treasurer do not receive 50 percent, the legislature decides the election by secret ballot when it convenes in January. The Vermont Secretary of State’s office reports turnout for the Vermont election was 45 percent with just over 196,000 voters casting ballots. 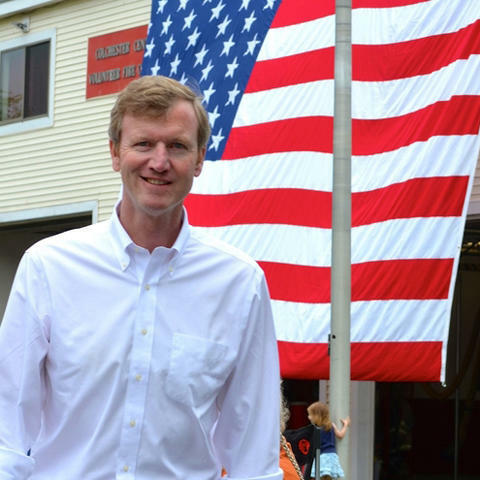 Republican gubernatorial candidate Scott Milne appears to be backing away from pre-election statements that he would concede the race if incumbent Democratic Governor Peter Shumlin won a plurality but did not get more than 50 percent of the vote. It was a twist no one expected. Vermont two-term incumbent Governor Peter Shumlin was widely expected to trounce six challengers on election day. But the night dragged on, Tuesday turned to Wednesday, and still: no resolution. Now the race goes to the Legislature in January after the Republican challenger came remarkably close to winning.